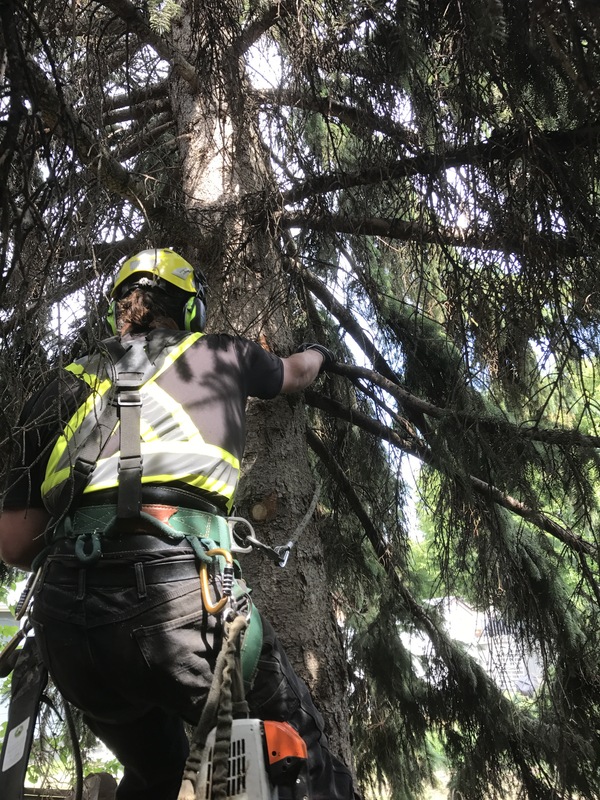 We recently had the opportunity to remove a spruce tree that was cuddling the power lines! After a quick hair cut from the MB Hydro crew, Chris and I got to work. It was actually a pretty hilarious situation. There was not enough room to use rigging. Oh you read that right. I caught the branches. Out of the air.